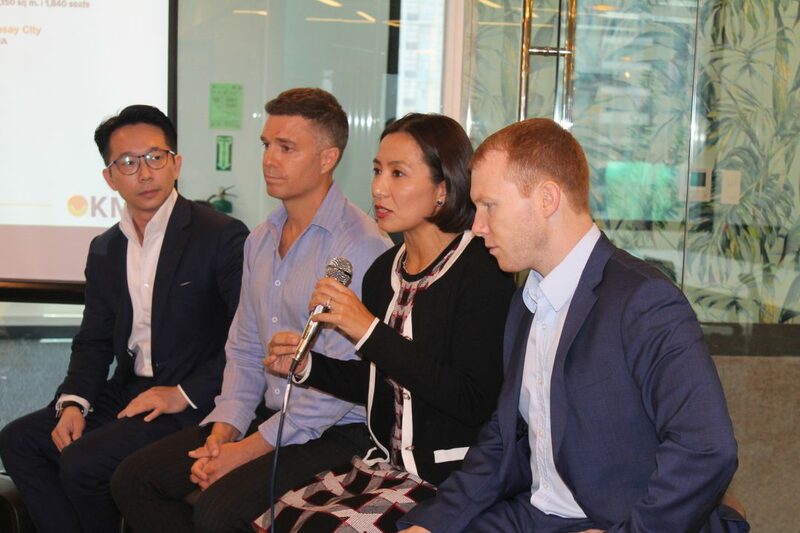 Manila, Philippines – April 10, 2019 – KMC Solutions, the Philippines’ leading coworking and flexible workspace provider, has announced that ASEAN Industrial Growth Fund (AIGF) has invested in KMC Solutions and has injected new capital to drive the company’s rapid expansion throughout the Philippines. Given AIGF’s extensive network and experience, KMC Solutions is confident that AIGF is the right partner to support KMC Solutions to achieve its growth plan and create more value alongside the current shareholders. AIGF believes that KMC Solutions has a very strong market-leading position as the company has developed a set of value propositions that has enabled it to capture a sizeable market share in the Philippines. Also, AIGF is very impressed with the dynamic management team and is excited to work together with the company in its next phase of growth. Founded in 2010, KMC Solutions is a pioneer in the Philippines’ coworking and flexible workspace industry and has experienced substantial growth since its inception. Today, KMC boasts over 13,000 members across 36 office floors in 21 buildings throughout Metro Manila, Cebu, and Iloilo. The funding will aid KMC Solutions in achieving its aggressive growth targets for 2019. KMC Solutions has been a reliable partner with various landlords by increasing awareness and occupancy. This is through creating collaborative and dynamic spaces, which foster a sense of community and innovation by attracting top tenants. Globally, demand for flexible office space shows no signs of slowing as the market is expected to witness significant growth in the coming years. KMC Solutions is by far the most dominant player in the Philippines flexible workspace market and distinguishes itself from other providers through its range of additional services, positioning itself to be a gateway to the Philippines for multinationals that seek to establish or grow business operations within the country. These additional services include managed business services such as HR & payroll management, business continuity planning, and virtual offices. Gregory Kittelson, Executive Chairman & Co-Founder of KMC Solutions, commented, “We are thrilled that we have attracted such a strong partner i.e. AIGF to support our expansion plans. This announcement reinforces our capability to provide best in class office space and highly-scalable solutions for businesses seeking to establish or expand their operations in the Philippines”. Atty. Amanda Carpo, Legal Counsel & Co-Founder of KMC Solutions, stated, “The Philippines continues to be an attractive business destination for foreign companies given the country’s affordable labor costs, talented manpower, and fast improving infrastructure. Foreign investment has also increased, prompting larger IT-BPO players and other multinationals to enter or expand in the country with us”. Paulton and Company served as exclusive financial advisor to KMC Solutions throughout the deal.